Maiasaura peeblesorum fossil (juvenile) Cretaceous (144-65 million years ago), Montana; photo by alan madrid on Flickr (noncommercial use permitted with attribution / share alike). "Maiasaura" means "good mother lizard." Fossil skeletons of this dinosaur have been found with nests of eggshells and hatchlings, proving for the first time that some dinosaurs lived in herds and fed and raised their offspring. 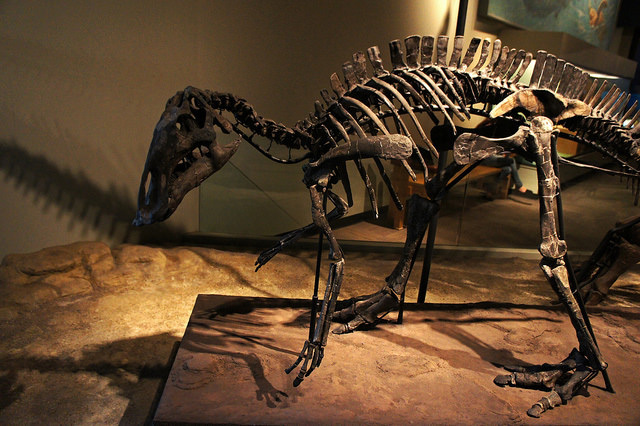 So far fossil remains of this Late Cretaceous dinosaur have been found only in Montana. 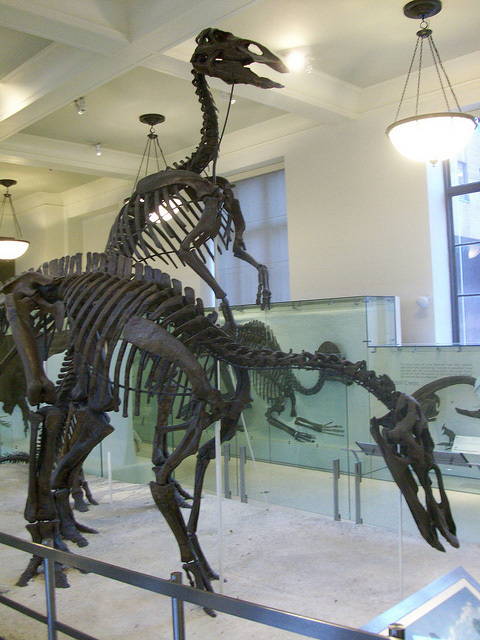 Duck-billed dinosaur fossil skeletons at the American Museum of Natural History; photo by Thor Carlson on Flickr (use permitted with attribution).